FullContact syncs, deduplicates, merges and updates contact information to help clean up databases. Real estate agents can pick from a free monthly package or one for $9.99 a month, which accommodates more contacts and has real-time updating. Brokerages with companywide CRMs or project management software can use FullContact’s APIs to help build a large address book. Maintaining a clean and accurate database of contacts is arguably one of the most important tools in any real estate agent’s arsenal. FullContact has the motto of turning every partial contact into a full one. Although not yet available for Android users, FullContact can be used with both iPhone and iPad. Geared toward larger businesses, the APIs pull from social media, email and more to enable building of a large address book or contact management functionality into an already-used platform. Available for both businesses and individuals, FullContact believes that bringing all available information on a specific contact into one place can help boost business. For example, with integrated information from Facebook and Instagram, the company promotes mentioning shared interests and ideas to build a strong rapport. The free package has the capacity for 5,000 contacts, real-time syncing with Google and deduplicating of contacts. For the app version of FullContact, there is a “forever free” and $9.99 per month option. The basic free package includes the ability to have 5,000 contacts, a two-way sync with Google every 24 hours, deduplicating and cleaning of messy contact information, unifying contacts from multiple sources and 10 free business card transcriptions a month. The monthly plan comes with everything offered in the basic addition and then some. Users have the ability to sync up to three Google accounts, sync in real time with Google, and also includes 50 business card transcriptions and the capacity for up to 25,000 contacts. Hoping to take some of the pain out of data entry after a conference, the business card transcriptions typically take a few minutes to process, and users simply snap photos of the business cards. FullContact relies on human transcription to ensure accuracy. 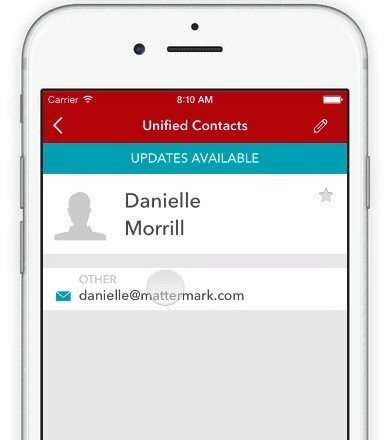 For real estate agents who just want to get rid of duplicates and stay organized, FullContact says it will automatically sync and update. Merging, syncing, updating and deduplicating can be set as automatic, with user review or manually from different sources. Because a lot of social media sites don’t allow automatic syncing, Arnold said, these importing and exporting functions are often manual.